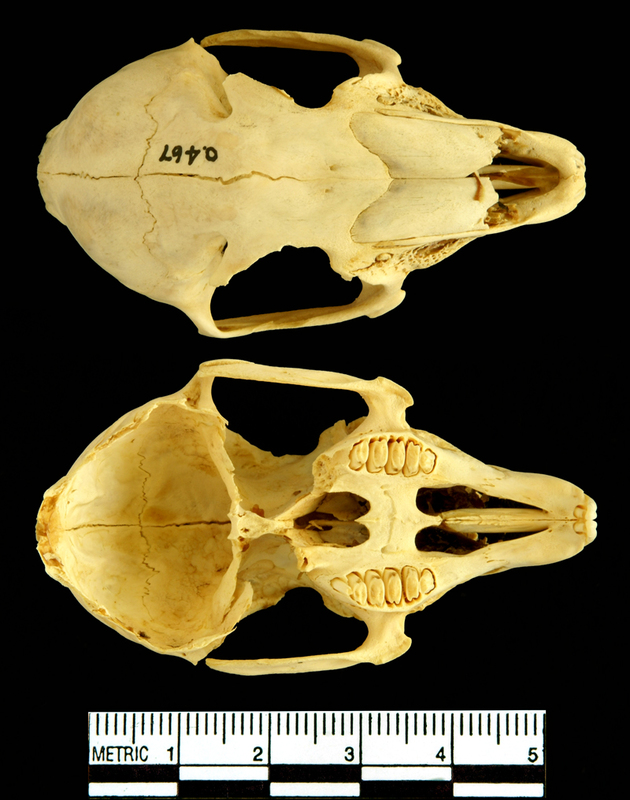 This week I have another skull for you to identify. Any idea what animal this might belong to? As usual, I will do my best to respond to any questions or comments that you leave below. Good luck! Young hare ? Not sure what type. Actually, I rather doubt that you do have any of these critters! Oh man. 😦 Back to the drawing board! I think that this little one is quite noisy compared with its relatives. I even have to do this when I am on holiday! Characteristic incisors. A boxer, perhaps? There are an awful lot of L. c.s out there… but this isn’t one! Hmm, true, more L.c’s than I noticed at first. In that case, an L. something? It is an L. something, so you’re not far off. 4 incisors, and a diastema, so not a rodent, but perhaps something that could be confused for one. Its been sectioned, so we can’t see the base of the skull, which is awkward (but probably why you chose it). Someone’s sliced through the top too. Could it be an Ochotonid? In that case a juvenile L. summat-or-other. The adult skulls I’ve seen are all rather too long (and large). Rodent-like, possibly marsupial. Is it v___b_t_s? (And a young one, I take it). It seems like March is zooming past at high speed! For what it’s worth, I’m guessing the brown one. But that’s really just a guess. I was going in the completely wrong direction until the comments gave me the right leverage. There are plenty of those around! Nonfused interparietal bone is a diagnostic for B………. i………?